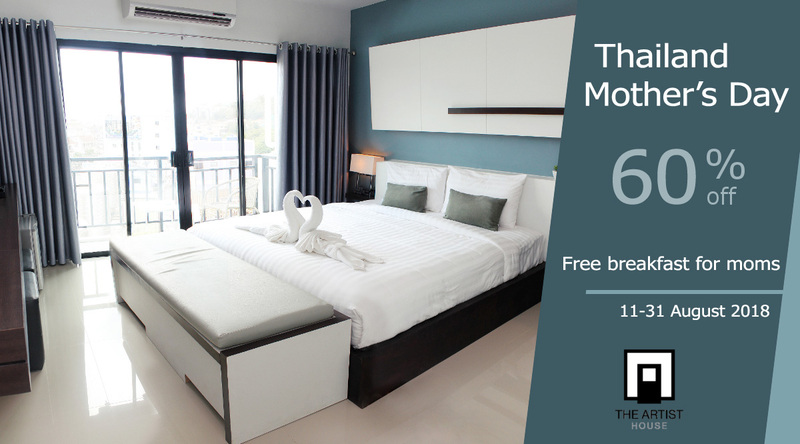 Celebrate Thailand Mother's day in Patong with your moms get special price and free daily breakfast from The Artist House Patong Mother's day Promotion. Booking direct with us get 60% discount and get free daily breakfast for moms. Welcome Back !! In order to say thank you for all returning guests, The Artist House Patong Phuket would like to offer special privilege to you to enjoying your next stay with us.